There are three reasons why I read this book. This book has been talked about for such a long time. It made me curious.. Yes, I finally picked this one up after hearing so many positive reviews and I do understand why people like it so much. It’s an adventure, it’s different (pictures) and it’s generally a great idea for a story. I’m not super convinced by this book. Like I said, the idea is great but I think the storytelling lacked conviction. In the end, I just didn’t care about the characters, which is a shame because they are an amazing group of individuals. There were just too many of them. And I get it, you’ve got these great pictures and you want to use them all but then you have to give all of them a background story and that didn’t happen here. You just get: this is (insert name), he/she can (insert gift). This meant that the characters felt undeveloped and that did bug me a bit because they could have been much more awesome than they were now. 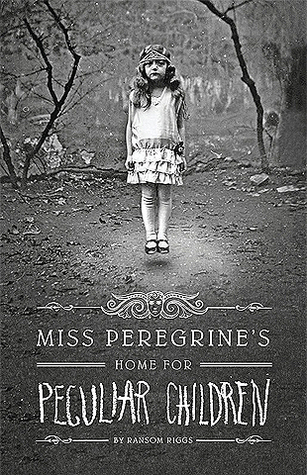 Further still, I didn’t like Miss Peregrine. I understand that she wants to protect the children but she makes some very weird choices in the information she does and does not want to share. These choices mark the beginning of a lot of trouble. If she had just told Jacob “Hey, be careful. No one can know we exist.” maybe this would have turned out differently. Instead, she withholds information and treats him like a little boy, which in my eyes, he isn’t. I was also a bit disappointed by the setting. I had expected more WW II action but given the circumstances, it wasn’t actually possible for anything to happen. That’s just me of course. The pictures were fun at first but after the introductions were over, I found them annoying. Every time anyone talked about a memory or past event they miraculously had a picture on hand. They didn’t add anything to the story. I liked the ones at the beginning because the added to the atmosphere of the book but over halfway through they were unnecessary. I am going to watch the movie because.. Tim Burton.. and also because it was filmed here in Belgium 🙂 #proud !! And when I do, I’ll let you know what I thought. I think it’s going to be great. Maybe I just need to see this story in a different medium. This is not a bad book, I enjoyed reading it, I had just expected.. more.. I recently filmed a Haul video where I show all the books I bought over the summer and this was one of them. I have this book on my TBR. I have been meaning to read it before the movie is released. Thanks for sharing your thoughts about it. I get what you mean about the pictures especially if they added nothing to the story. I am sorry that you didn’t connect with the characters though.I look forward to reading the book and watching the movie someday. I do hope you enjoy it. I think I just expected too much from it because everyone was always so positive. It’s not a bad book ☺️ I just wanted something more..